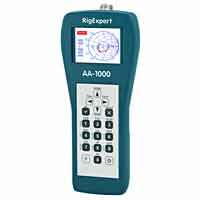 You may be wondering what is the benefit of using these fancy graphical antenna analyzers versus the regular SWR meter. 1.) The main advantage is that you don't need a transmitter to tune the antenna. This way your transmitter is entirely safe and is never exposed to high levels of SWR which as you know can damage the output stage (expensive fets/transistors). 2.) Further advantage is that you can see where your antenna is resonant. - Once the minimum of the graph is exactly at your target frequency you can try and manipulate any other tuning elements to get even lower SWR. It is possible to obtain perfect SWR in very short time and after tuning 2-3 antennas you will really learn to appreciate these analyzers. Hope this post clears out some issues.